I began practicing yoga about twelve years ago and teaching for the past seven. I am very passionate about the practice and helping others incorporate it in their lives. I have a 200 hour level yoga teacher training certification, and have taught classes and workshops at various Portland gyms, yoga studios and for private clients. For the past 6 1/2 years I have led weekly classes for employees at Kaiser Permanente in North Portland. 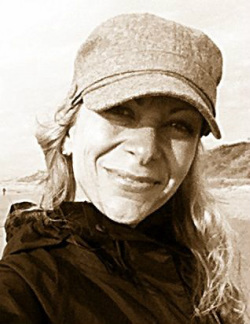 I am the prior owner and director of Exhale Yoga Studio in the Alberta Arts District in Portland, OR. 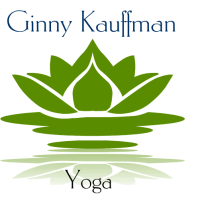 The class styles I lead include Hatha Blend, Vinyasa, Restorative, Strength & Stability, and Beginning Yoga/Basics. I especially love introducing newer students to of the benefits yoga and helping them to begin and maintain a consistent practice. I also enjoy working with more intermediate level students. I like to remind my students that yoga is not a competition and that we each have our own self-reflective, unique practice. It is important to honor our bodies and the parameters we each have to work within. We all have them! While we each have the same physical parts, our experience with our own parts is unique, and as such, our individual experience with yoga is unique. An important lesson in our practice on, and off the mat is learning to accept what is, without a pre-determined agenda and without forcing change, but rather, allowing things to unfold and evolve with gentle persistence, consistency, patience, and time. My approach is light, gentle, humorous and straightforward. I always offer modifications and encourage questions and an open dialogue during class. I am a humble guide for your own personal journey in your practice! My personal practice is constantly deepening and growing and I enjoy taking classes and workshops and learning from other teachers. The teacher should always be a student! I'm on my own path and can only share and teach what I know and have learned. My teaching reflects the evolution of my own practice and learning. In my spare time (in addition to yoga) I enjoy Zumba, Stand Up Paddle Boarding, hiking, spending lots of time with my dog and husband in and around Portland, reading, live music, vegan eating and cooking, and traveling. I live in the South Portland neighborhood.